The next time you see yourself paling in comparison to those who’ve won the Nobel Peace Prize or you've failed to find a cure for cancer, bear in mind in addition to being outdone by your fellow man, you may also be outflanked by a few super animals. 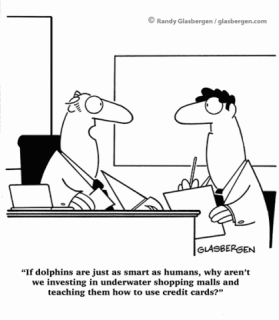 Some of them have innate abilities that a lot of humans would need college degrees to match up. GOOD, an organization focused on creative solutions for a better world posted a humorous but reality-based feature titled, ”8 Animals That Have Better Resumes Than You.” The premise of the piece was to dismiss the notion that some of the animals we cohabit the planet with have no real purpose, and are often caught lying around, taking up space and eating our food. “Recent studies have shown that 90 percent of pets are lazy as hell, just taking up space and eating your food. But do they feel fulfilled? Can they really be happy with this lethargic lifestyle?” asks GOOD’s contributor Jed Oelbaum. Since I've already covered the Goat Landscaper in a previous blog, titled, “Y’Herd Me?Landscaping Can Get Your Goat in N’Awlins,” I won’t dwell on that one. But two of the others exhibited attributes that many of us would have never guessed, less we were in the specific field that employed them for that purpose. 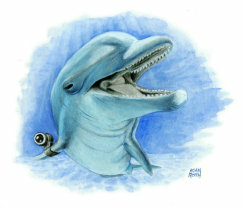 Dolphins, the Ultimate Killing Machine? He then talks about the American program as being rumored, but that the Soviets actually trained dolphins to lay mines and attack enemy vessels. And according to Oelbaum, this military tactic has so much merit, it's actually being considered for modern-day warfare as well. “Recently, the Russian takeover of Crimea’s national assets has included repossession of the remnants of their former dolphin program, which they plan to reactivate,” noted Oelbaum. Planet of Apes in the Service Industry? 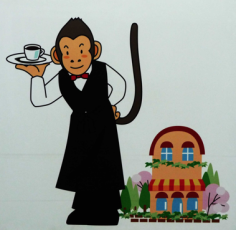 The other job-related position for an animal that brought a smile to my face, was the idea that monkeys could actually be employed as waiters in a restaurant. Oelbaum pooh-poohs the idea based on the fact that monkeys are smart enough to eventually interpret these jobs as ‘indentured servitude’ and could rise up in a Planet of the Apes type of rebellion. But apparently Japanese restaurateurs feel otherwise. One tavern owner is actually using macaque monkeys as waiters to please his customers. Check out some monkey business that I’m sure the Marx Brothers would have gotten a a kick out of, if they were around today? 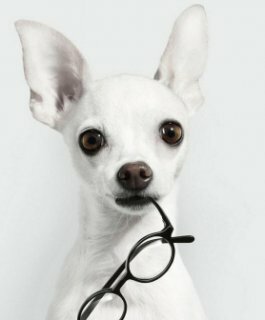 So, what’s your take on animals being qualified for certain jobs? Are they destined to assume these roles to allow them to achieve a certain level of self-worth, or are those crafty employers just pulling their chains, knowing they’ve tapped into labor pool that could nicely cut down on their payroll costs? Your thoughts, readers?